After the last PL matchday, where Liverpool, despite their dominance and total control in the game against Fulham, could have lost the title race because of a very uncharacteristic error from both Van Dijk and Alisson, the table looks very promising for the Reds. The accumulated points at this stage already beat their overall points total for a PL season in all but 4 seasons (2008/09- 86, 2013/14- 84, 2005/06- 82, 2001/02- 80). With 7 games remaining, it is certain that the highest points total ever won by LFC in the PL (86) will be easily surpassed. But how are Klopp’s men faring when compared to previous title winners at this stage of the season? Not only are Liverpool having one of the best ever seasons in their history, but are also having one of the best ever seasons in the PL. And the tragic part is that they may not win the title, despite this record, despite, historically, teams with that many points having had a points gap of nearly double digits at this stage. Let it sink in; those above mentioned teams have had gaps of 16, 13, 12, 9, 7 and 6 points at this stage, with just 7 games remaining. That would mean that to topple those teams, the chasing teams would have had to hope that those teams lose at least 3 games, whilst ensuring they themselves win all their remaining matches, which is just absurd. Point is that, all these winners had wrapped up their leagues by this point. And this Liverpool side would probably go a point behind City after they play their game in hand. That is what we are talking about here. That's how difficult it is to win this time, against this City side. That “bottlers” tag that everybody around like to stick it to this Liverpool side is utterly ridiculous considering LFC’s squad strength is nowhere near City’s. To even be in this position, show this much consistency and “bottle” throughout the season, is an achievement. Or to be more accurate, an overachievement. Considering the remaining fixtures and the upturn in recent form, Liverpool shall quite possibly surpass the 90 points mark; something that only 7 teams have done in the PL and all of whom have won the damn thing. Liverpool may not. That said, the team definitely should have done better. 80 points was possible at this stage and the team had to reach that milestone by now, to have the upper hand in the title race. Liverpool had to win one of Leicester/West Ham and one of Everton/Manchester Utd. It was down to Klopp’s naivety with his team selections that that did not happen. 4 more points and the title race would have looked very different and given Liverpool more room for error in the final 7 games. As of now, the Reds do not have control on how the league table would look like in May and cannot afford to drop even a single point. That is the reality of Liverpool’s season. That is how strong City are. Klopp needs to be braver with his team selections and trust more of his players (specifically, Keita and Shaqiri instead of young Adam and Henderson). Underutilizing the squad is extremely poor management and unacceptable at this stage. There is a minuscule chance that winning all the remaining games would lead them to the title and that will only be decided by the team that Klopp puts out every week. It is all about the right team selections now. Considering the big picture, it really has been a tremendous season for the Reds and is something to be extremely proud of. The manager and the team have evolved and progressed so much and it will only get better. Every Liverpool supporter should have nothing but love for their team because it literally has never been better than this in the PL era. 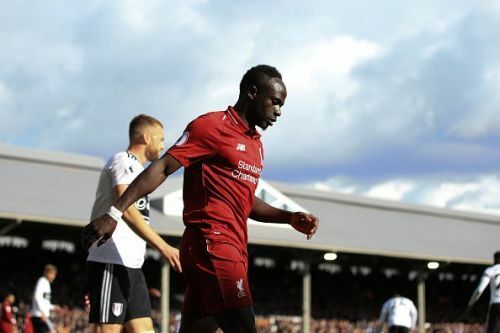 Liverpool FC: Are they in the best possible situation at the moment?